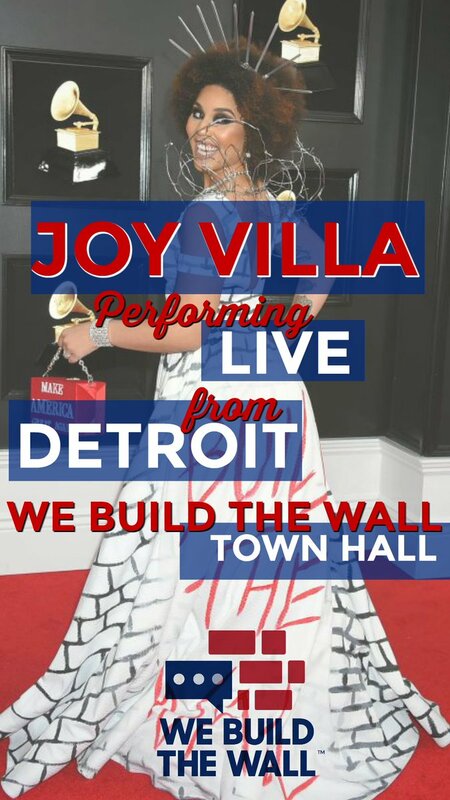 Joy Villa will sing the National Anthem at the Detroit "We Build The Wall" Town Hall. "Joy supports the border wall as the daughter of Rev. Joseph Villa, of Argentine descent, while her mother was African American and Choctaw Native American." One America News Network (OANN) will broadcast the event live from 7-8pm EDT. Gateway Pundit will host an internet livestream with audience Q&A after the national broadcast. 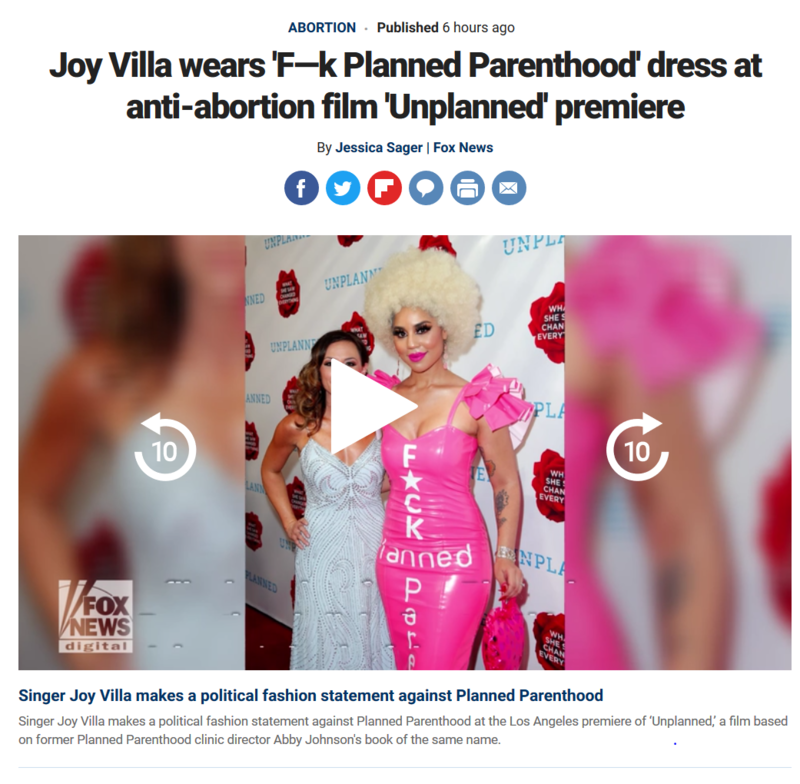 Villa wore the dress to the premiere of the new anti-abortion film “Unplanned." 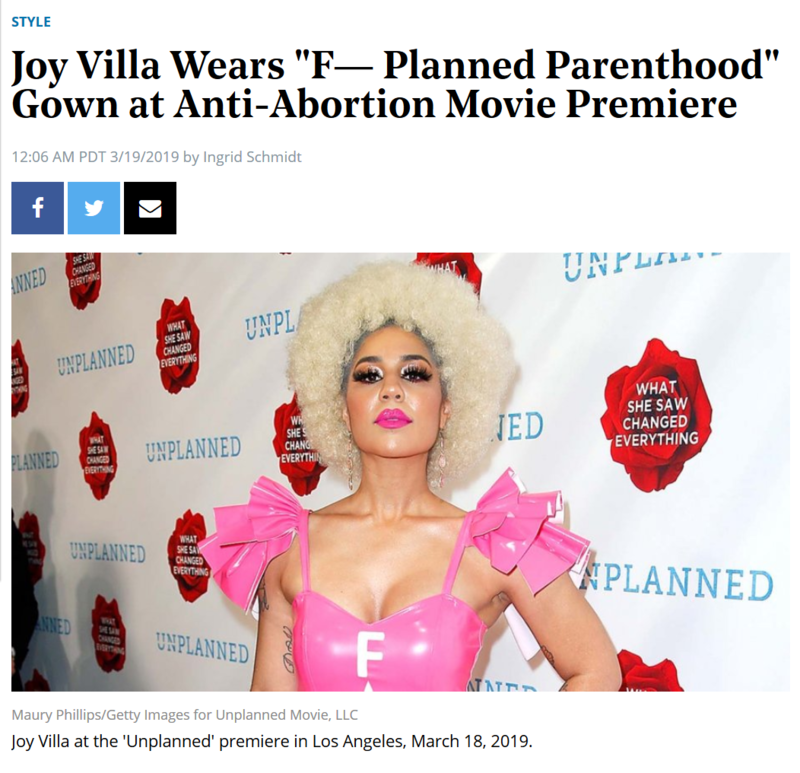 Hollywood Reporter: Joy Villa Wears "F— Planned Parenthood" Gown at Anti-Abortion Movie Premiere. Website for the movie "Unplanned." Fox news has both video and a text story. 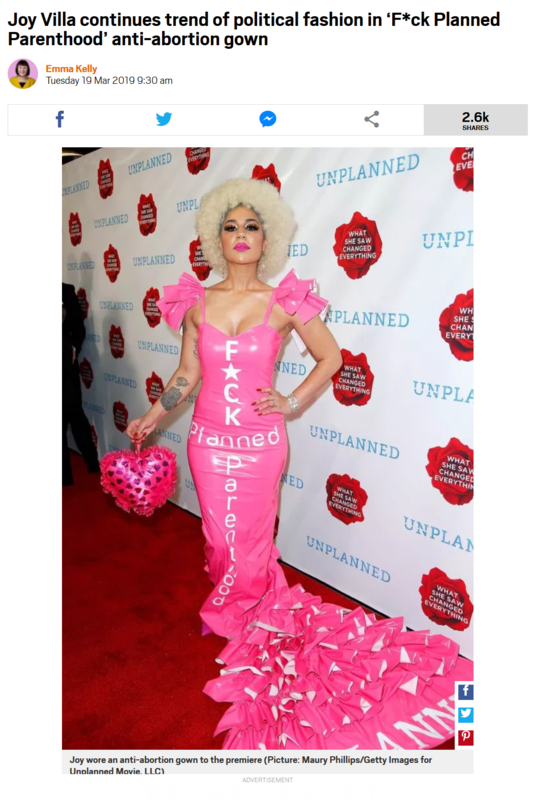 Joy Villa wears 'F—k Planned Parenthood' dress at anti-abortion film 'Unplanned' premiere. Newsweek has a more dramatic headline. 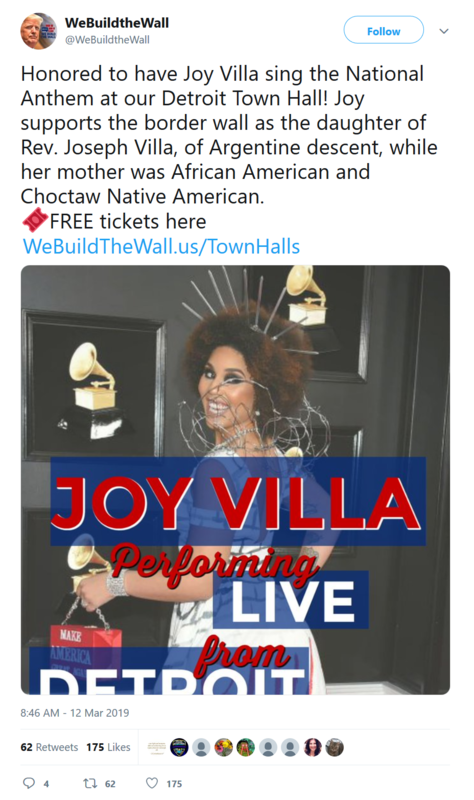 Joy Villa is promoting Scientology front group The Way To Happiness. 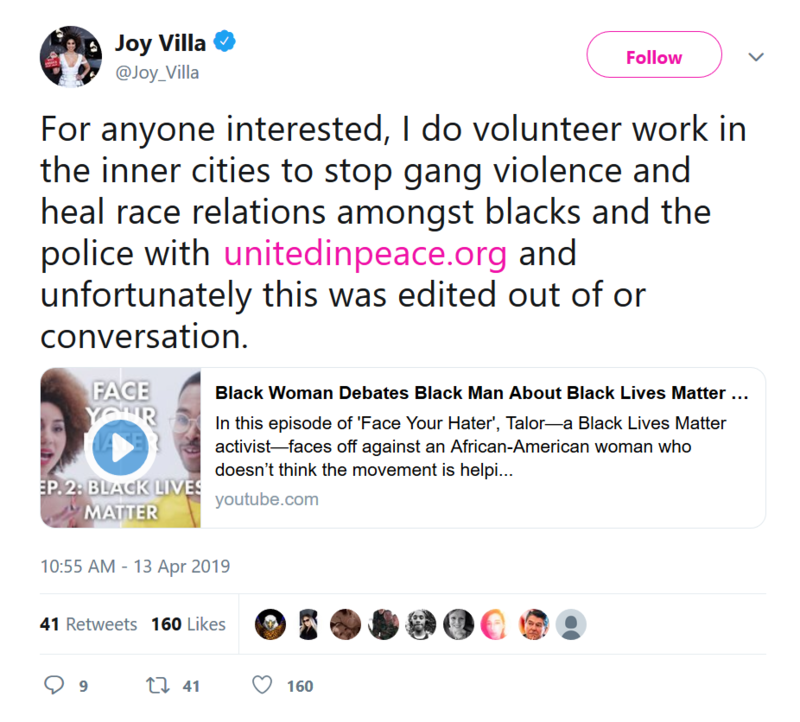 Joy Villa promoting Scientology front group United in Peace (UIP). As previously mentioned, United in Peace is essentially a joint venture of the Nation of Islam and the Church of Scientology operating through The Way To Happiness Foundation. UIP sponsors the Peace Rides and hands out The Way To Happiness booklets. 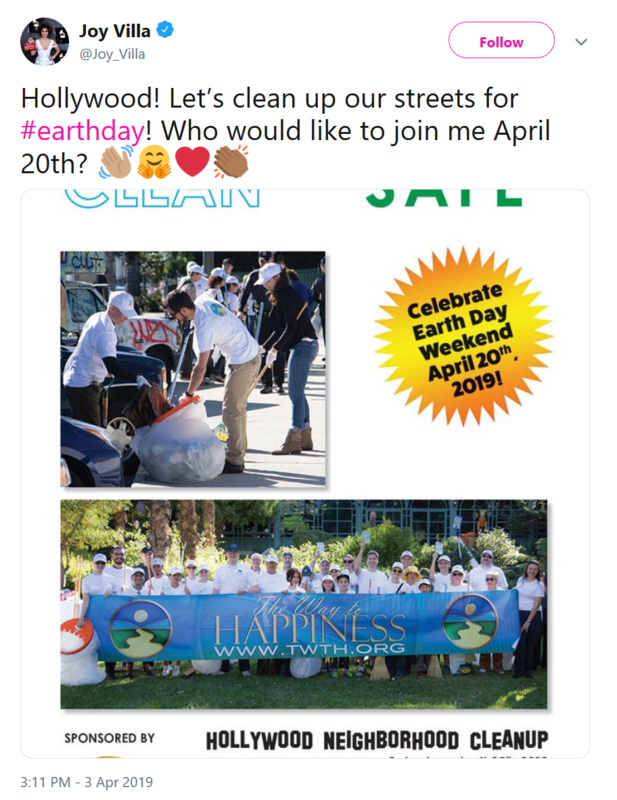 Anyone who ever spent time around Scientology or been on Scientology staff knows full well that every one of these "humanitarian" events run by church fake front groups is a scam. A racket. A hoax. They are always dorkily staged photo ops, dripping with koolaid tells. Example: The white truck parked in the the photo just happens to have graffiti on it. What a coincidence! In the last 25 years have you EVER seen a car that had huge red graffiti lettering on it?